needy – Welcome to Athletes C.A.R.E. High School Donates $5,000 to Athletes C.A.R.E. We are overwhelmed! Rancocas Valley Regional High School, located in Mt. Holly, New Jersey, has pledged nearly $5,000 to Athletes C.A.R.E. as part of their Red and White Night event. This month long series of events and competitions that allows students to come together as a school and as a community. As part of the competition, the Red Team and White Team compete to raise the most money for a charity or cause selected by the team’s captains. These amazing individuals chose to donate to our organization, raising a total of close to $5,000 for our cause. We could not be more thankful for their amazing act of kindness – you have all made an immense impact on the lives of so many, while helping us in the fight against hunger, homelessness, and poverty. Thank you again! As a nonprofit organization, our goal is to consistently serve and help those in need. We are happy to announce our plans for the Spring of 2013 with hopes that these events, drives, fundraisers, and the like will prove beneficial in helping the needy, hungry, and homeless, while also engaging young people in service. Below, we have laid out some of the items on our agenda. This campaign will be the highlight of our Spring 2013 agenda, allowing us to provide large scale to relief to the Roof Over for Women and Children. As an ‘All-Or-Nothing’ campaign, we will need to raise $1,00 or more, or all the money donate will be returned to the donors and no money will be available to donate to the cause. Our goal is to raise $1,000 to help furnish the shelter who is in need of things such as blankets, pillows, bedding, and the like. The campaign will begin at some point in late-February and will continue for two months to hopefully reach our goal. If you are interested in helping, please contact us and donate today! 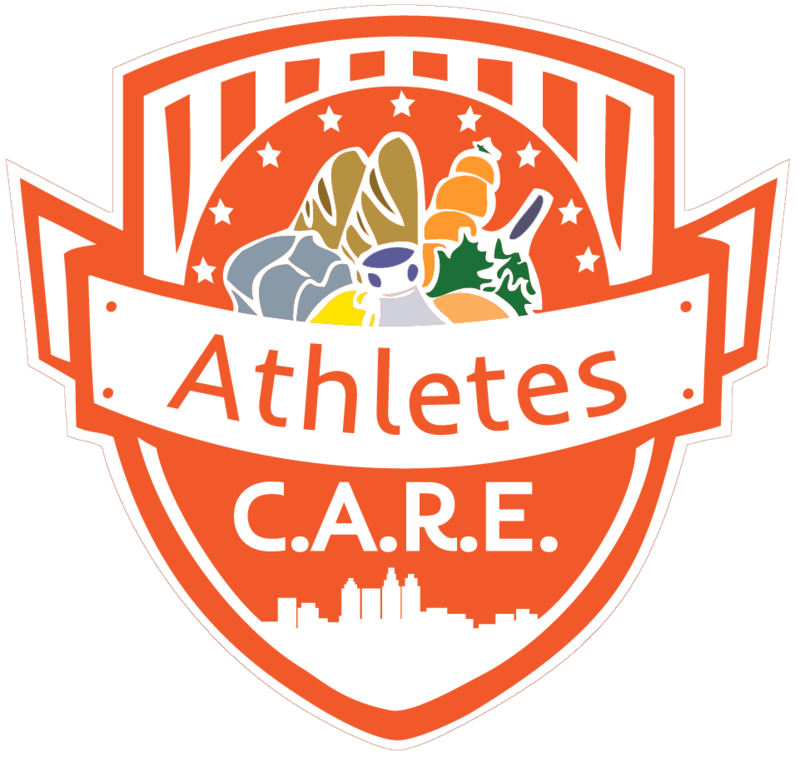 We are very excited to announce that plans are in the works to form an assembly program in which Athletes C.A.R.E. will travel to middle schools and high schools and discuss topics ranging from leadership to community service. We are in the process of forming various partnerships with schools looking to join this program and help enhance the lives of their young people. More news to come as we continue to build this program – please check back for more updates! As athletes we are always looking for ways to give back by means of sport, and this organization has provided a great means of doing exactly that. Kicking4Hunger allows young soccer players to participate in a camp by not paying to attend, but rather donating canned food items in order to participate. These food items will then be donated to area food pantries to help fight hunger in America. It is truly a phenomenal program and we are looking forward to joining the fight this Spring. Weather permitting, we will be holding a camp at some point in the late Spring! Thank you for visiting our site. Please do not forget to check out our Facebook page and also follow us on Twitter. Join the movement and get out and care today!